We are so excited to partner with CWDkids and the members of our amazing creative community to create a unique new line of childrenswear! CWDkids has offered high-quality, unique childrenswear for over 25 years. They’re seeking our community’s fresh take on mermaid pajamas in this very special design challenge! WHO: Spoonflower and CWDkids are teaming up for a very special fabric design challenge. WHAT: Our Mermaids Design Challenge is designed to inspire fabric designs for fun, modern pajamas featuring a mermaid theme. The good folks at CWDkids will choose one winner from the top ten vote-getting designs. The winner will receive a $500 cash prize, and his or her winning design will have the chance to become part of the latest offering of CWDkids pajamas to be released in spring of 2016 through CWDkids.com. All top-ten winners will receive $50 in Spoondollar credit. Please see the CWDkids Style Guide for information about what makes a successful childrenswear design. WHEN: The design deadline is May 19, 2015. Voting will take place May 21 – May 26, 2015. The winner chosen from the popularly-voted top ten designs will be announced on May 28, 2015. HOW: To enter, create your own Spoonflower account, upload an original fabric design to the account, and enter the design in the Mermaids contest using the drop-down menu for entering contests. Designs should be created especially for this contest, and all artwork must be your original work. Since the winning design will be featured on CWDkids’ pajamas, designs should feature no more than 8 colors, and design elements should be roughly .75″ to 3.5″ (approximately 2 cm to 9 cm). Please see the CWDkids Style Guide for additional information and photo examples. A note about your design file: If your design wins, CWDkids will need a vector file to adapt for their printing purposes. We encourage you to prepare your original file for this, but you should create a copy of your file saved to 150 dpi to upload to Spoonflower. Your Spoonflower preview will be viewed at 150 dpi in a fat-quarter size (21” x 18”). Please see the official rules below. This contest is open to ALL Spoonflower community members. All submitted designs must be the original work of the entrant. Please do not use stock images or base your design on the work of another artist. 2. How many designs can I enter? 3. Who will judge the contest? The top ten designs will be selected by community voting, but the winning design will be selected from the top ten by CWDkids. Anyone can vote (when voting opens on May 21, 2015), but only one set of votes may be submitted per individual. Duplicate votes are filtered using fraud detection software and not counted toward final totals. 5. What if I don’t want my design to be purchased by other people? Designs are not made available for sale without explicit permission from their creators. By participating in this contest, you are granting permission to make your design available to the public for voting and non-exclusively for sale if your design finishes in the top 10. The winner will also be expected to work with CWDkids to ready their file for pajama production. Any subsequent design work will be negotiated between CWDkids and the winning entrant. 6. Am I giving up the copyright of my design by entering it? 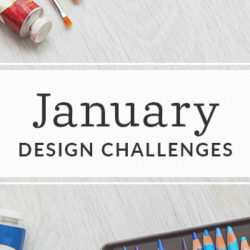 You are not giving up ownership of your design, but by entering your design in the contest, you give us the non-exclusive right, should your design finish in the top ten, to make it available for sale in the Spoonflower Marketplace per the customary terms of the Spoonflower Marketplace. For any sales generated in the Marketplace, you will receive a 10% commission. You will always be credited for your design and you are free to continue to sell it on your own, now and in the future. 1. Sponsors. CWDkids, 3607 Mayland Court, Henrico, VA 23233-1453 and Spoonflower, Inc. (“Spoonflower”), 2810 Meridian Parkway, Suite 176, Durham, NC, 27713 (Spoonflower and CWDkids, collectively, referred to as “Sponsors”). 2. Eligibility. Promotion is open only to persons who are 18 years of age or older as of February 26, 2015. 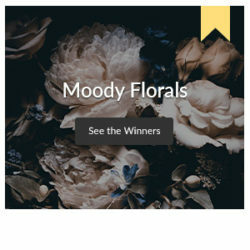 In order to submit a design to the contest, each participant must also be a registered member of Spoonflower at the time of entry. To become a registered member of the Spoonflower web site, individuals must register for, create an account, and agree to the Spoonflower web site’s Terms of Service, set forth at www.spoonflower.com/terms (“Terms of Service”). Proof of age may be required. There is no fee or charge to become a registered member. 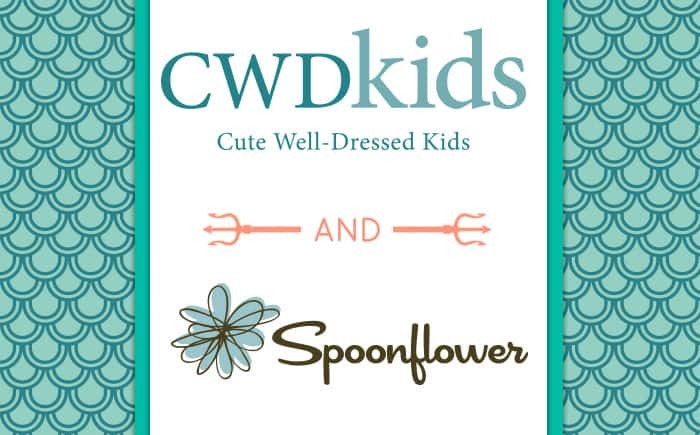 Employees, officers, directors and representatives of CWDkids and Spoonflower, as well as immediate family members (spouse and parents, siblings and children and their spouses) and persons living in the same households of each of the above are ineligible to participate. In order to participate you must be able to demonstrate to the satisfaction of the Sponsors that you do not have a current contractual arrangement that would prohibit you from fully participating in this contest and entering into a contract with CWDkids for merchandising and distribution of your designs on textiles. 5/26/15 – Public voting will end. Sponsors will choose one winner from the top ten entries, as calculated by total votes. 5/28/15 – Spoonflower will announce the winning design, as well as the top ten. c. Upload a design in JPG, PNG, or TIF formats, or .AI, .EPS, or .SVG. Artwork should be sized at 150 dpi. Your Spoonflower preview will be viewed at 150 dpi in a fat-quarter size (21” x 18”). Once uploaded, you can use the contest entry page to edit the repeat style of your fabric design. Please proof the size and layout of your design carefully. All contest fabrics will be previewed for voting using the ‘fat quarter’ view, which is at a scale that shows a 21” x 18” representation of fabric. Please make sure your design is in repeat. Do not choose the ‘centered’ layout option. d. Pull down the Action menu over the design you wish to enter in the contest, and select Mermaids under the heading Enter in Contest. 6. Ownership Of Submitted Designs. All design submissions will be subject to the Spoonflower’s Terms of Service (www.spoonflower.com/terms) and the additional terms set forth below. Each entrant must be the rightful owner or have authorized use of the e-mail account associated with the e-mail address used to create the Spoonflower account. Limit one (1) person per e-mail address and one Spoonflower account per person. If more than one entry is generated by an individual, additional entries will be disqualified and ineligible for the Promotion. Entries and registration submissions that are inappropriate or in any way out of compliance with these Official Rules will be disqualified. Only the winning entry will be purchased for a $500 cash prize by CWDkids. With the cash prize, the winner hereby grants CWDkids a perpetual, royalty-free, worldwide, transferable, assignable, sub-licensable, nonexclusive, right and license to use your Submission in all media and products existing now or created in the future, in any manner including for commercial use (e.g. selling products that may incorporate your Submissions). All other entries remain the property of the individual entrants. Design submissions will be accepted only through the Spoonflower web site. Submissions by email, mail, on CD or through any other means will not be included for consideration. Designs submitted for voting must be public, but need not be available for sale. By entering the Promotion, you acknowledge that the design you submit is your own original work, has not been previously published, and does not contain any trademarks, logos, copyrighted material, or any other intellectual property belonging to any third party. You agree to sign any necessary documentation that may be required by CWDkids to certify the use of the rights you granted above. You acknowledge that Sponsors reserve the right to decline to use the design for any reason. You understand that you will not receive any compensation or credit for use of your design, other than what is described in these Official Rules. If the Sponsors determine in their sole discretion that an Entrant has materially breached a representation or warranty at any time during the Competition, then the Entry will be disqualified. 7. Expectations of Entrants. The theme for this contest is Mermaids. Should an entrant’s design be selected by the Sponsors as one of the winners, he or she will be expected to sign a contract to work with the team at CWDkids to develop and finalize the artwork to prepare it for manufacture and marketing. As a Participant, you also grant Sponsors the right to use your name, a preview of your design, and any biographical information or photos that you provide to us, in connection with the Promotion or your design, in all media (now known or later developed), in any manner, throughout the world, in perpetuity, to promote the Promotion, Spoonflower or CWDkids. 8. Ownership of winning design. The winner of this contest must agree to grant CWDkids full ownership rights to their fabric design for the exclusive use of manufacturing childrenswear, per the terms of the licensing contract that will be offered to the winners. Any subsequent design work and/or licensing agreements will be negotiated between CWDkids and the contest entrant. 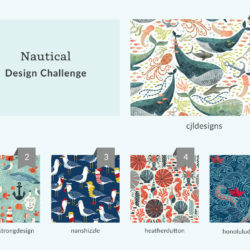 Neither Spoonflower nor CWDkids assert any rights over submitted designs not designated winners. 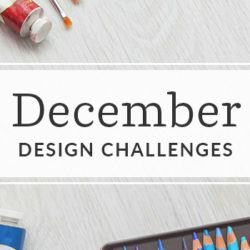 Entrants are free to delete designs they have uploaded to Spoonflower at any time. « Funky Fresh DIYs, Fabrics & Wallpapers for Your Home!